In our house, reading is the number one hobby for everyone in the family (besides crafting, of course). Every single person living here, right down to the youngest child, can usually be found curled up somewhere comfortable reading a good book if you haven’t heard a peep out of them for a while. We’re proud to have such a literary family and we’re very pleased indeed that our kids are just as avid bookworms as we are, but we’ll also be the first to admit that the rate at which we all read is kind of taking over our home. There are books everywhere! 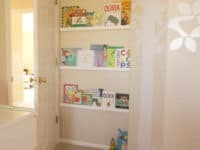 Because we’re also an avid crafting family too, however, we’re sure it’ll come as no surprise to you that we use our DIY skills to make new places to put our books rather than just buying pre-made bookshelves from the store. 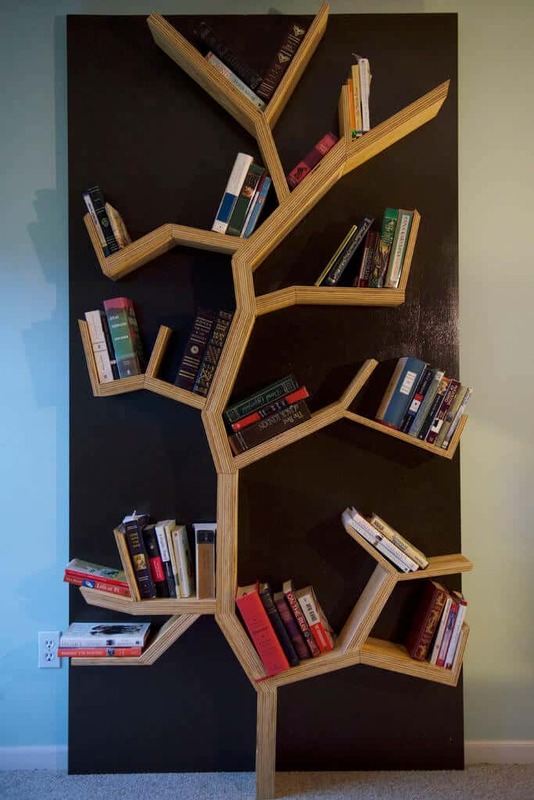 Just in case you’re as interested in the idea of making DIY bookshelves for all your precious novels as we were, here are 14 of the best homemade ideas that we’ve come across so far in our search to choose the one that’s best for us. 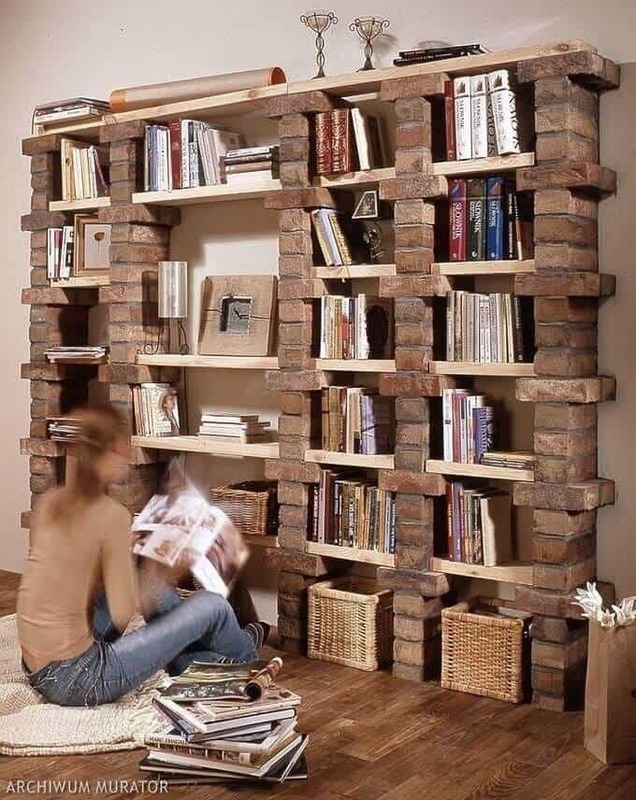 If you’re going to go to the trouble of building yourself something from scratch, would you prefer to make the shelf an upcycling project as well? 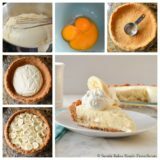 We’re actually huge fans of repurposing old things and materials to create new household wares as well, so we’d fully support that idea! 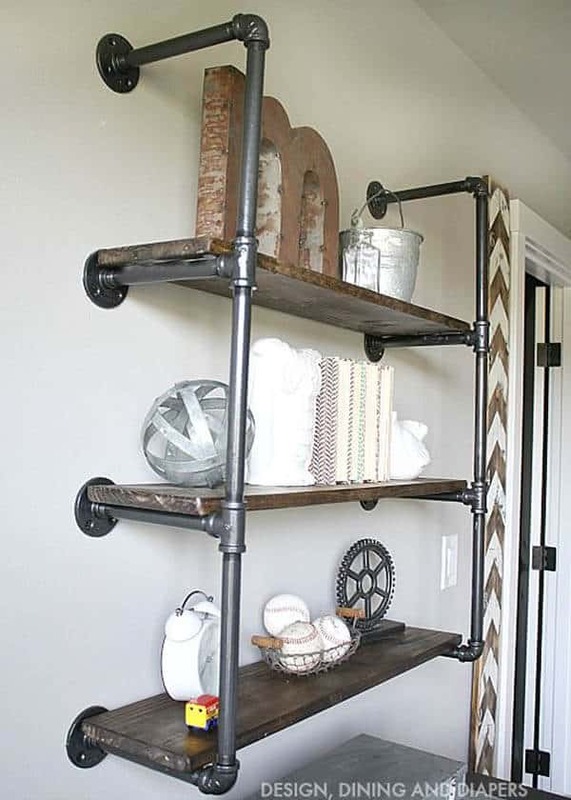 That’s why we thought this stylishly rusting looking shelf featured on The House of Wood, which is made of boards taken from old shipping pallets, was such a good idea. We love the colour contrasts built into the pieces. 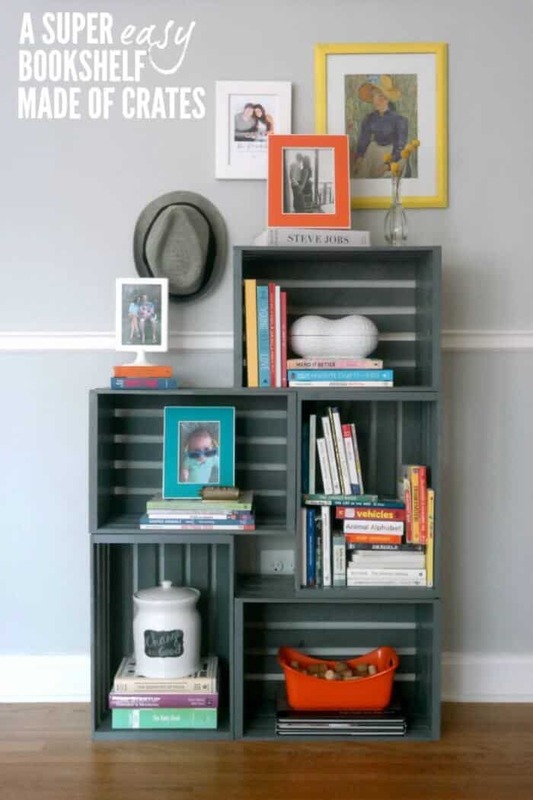 Perhaps you quite enjoy the upcycled wood idea that we showed you above but you’re not actually feeling quite handy enough to take whole pallets apart and construct the entire shelf from scratch? Then here’s an awesome alternative that will get you a somewhat similar effect but in a lower maintenance way. 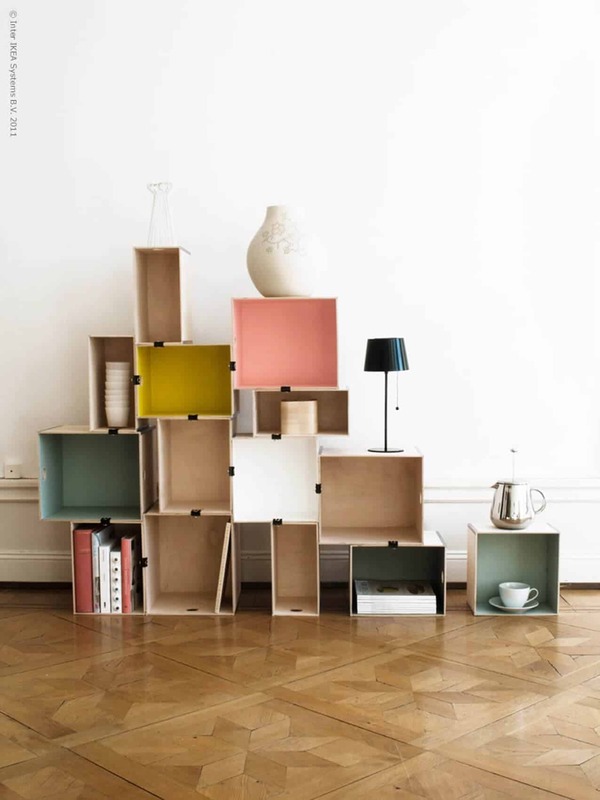 Creating Really Awesome Fun Things suggests stacking old wooden crates on their sides, vertically and horizontally, to create a sort of cubby shelf from repurposed pieces. 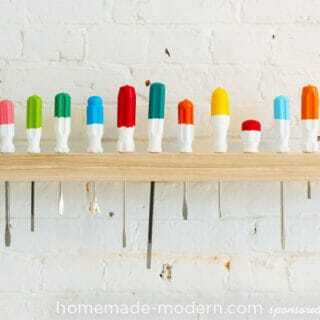 You could leave yours in the natural wood finished they came in or paint them all one colour, just like you see here! 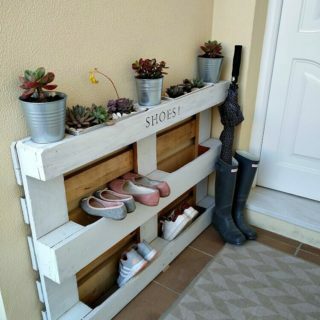 Do you love the idea of repurposing something older for a rustic chic effect but you’re just not sure the weathered pallet or crate idea is quite right for your space? 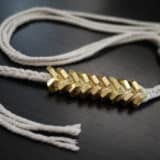 Then perhaps you’d get along better with something like this A-frame shelf idea featured on A Pair and A Spare instead! They show you how to install hinges at the top of two repurposed ladders to get the right lean, sliding boards in increasing length through the rungs from top to bottom. 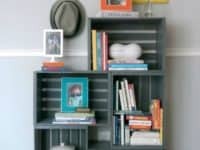 If you’re going to build your own bookshelf, would you rather build one that really makes people look twice or has some sort of design appeal that actually contributes to your decor scheme? 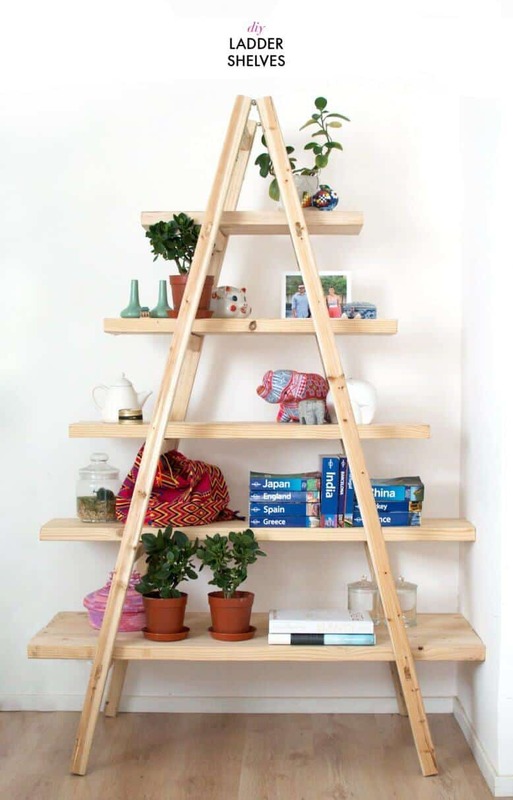 In that case, we’d absolutely suggest taking a look at how Burkatron made this fantastic hanging leather strap shelf! 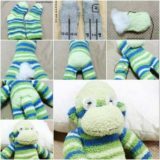 They show you how to fasten the belts and angle the board just right so that the weight distribution is correct when you set books on the shelf, making it more stable than you might think. 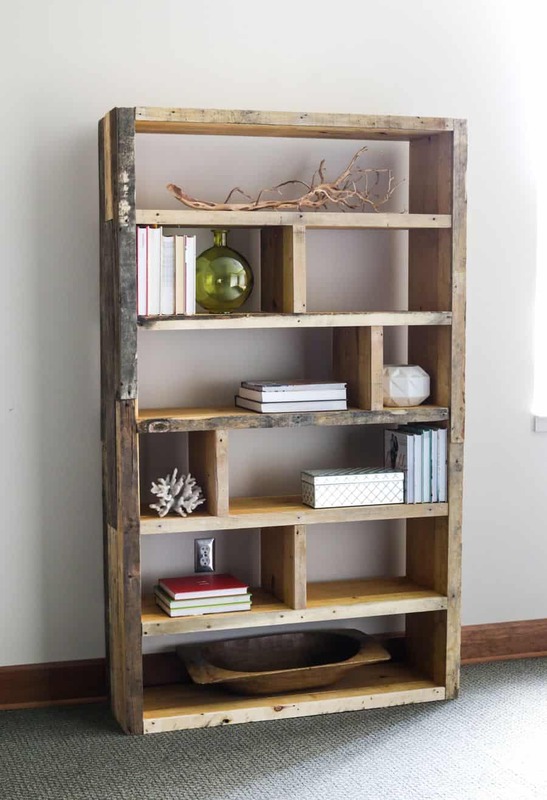 Are you actually a huge fan of the idea of making your very own shelf out of distressed looking repurpose wood, but you’re still the kind of homey decor lover who’d prefer that the finished piece have another design element to it as well? 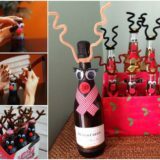 Then we have a feeling you’re going to love this idea from Home Talk! 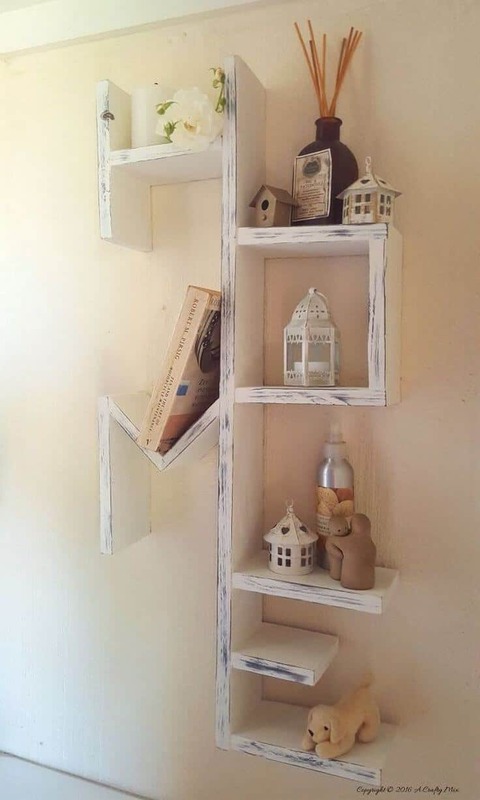 They show you how to create a shelf that, in its construction, spells out the word “Home” while still giving you a place to set your books. Perhaps the decor scheme in the rest of your home is actually quite minimalist, with a little bit of an industrial chic feel to things as well, so you’re looking for a piece that will suit with the rest of your room? 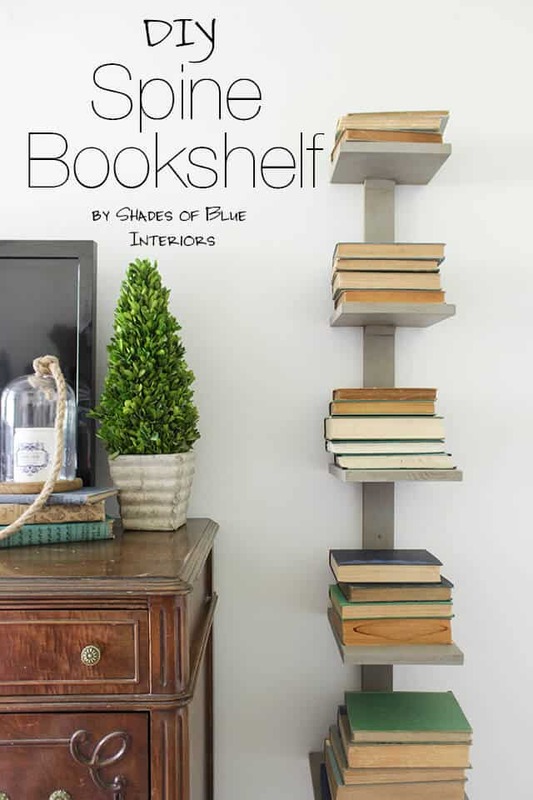 In that case, we’d definitely encourage you to take a look at how Shades of Blue Interiors created this book “spine” shelf, letting you stack several books in piles on each tier. 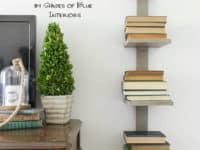 Do you actually already have a pre-made or store bought bookshelf that you know will work just fine, but you’re just looking for a way to embellish or liven it up a little bit so its suits your personality and decor scheme better? 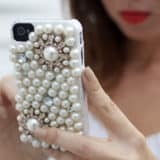 We think that’s a great idea, and it makes use of something you’ve already got access to rather than getting rid of a piece that’s perfectly good! Check out how Home Depot livened their plain white shelf up by wall papering the back of the shelves in a brightly colour pattern that will peek out above the books once they’re all set in place. 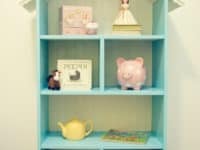 Is it actually your kids’ room that you’re looking for a bookshelf for specifically, but you’ve gone out of your way to build a fun, whimsical scheme in there and you’re really hoping not to detract from that when you add new, practical pieces? 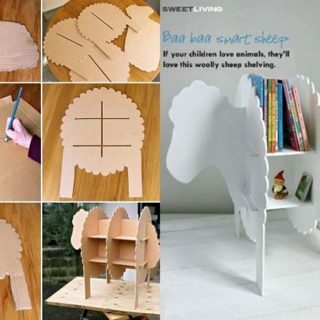 In that case, we definitely think you should take a look at how Simple As That created a bookshelf that looks just like a lovely doll house! 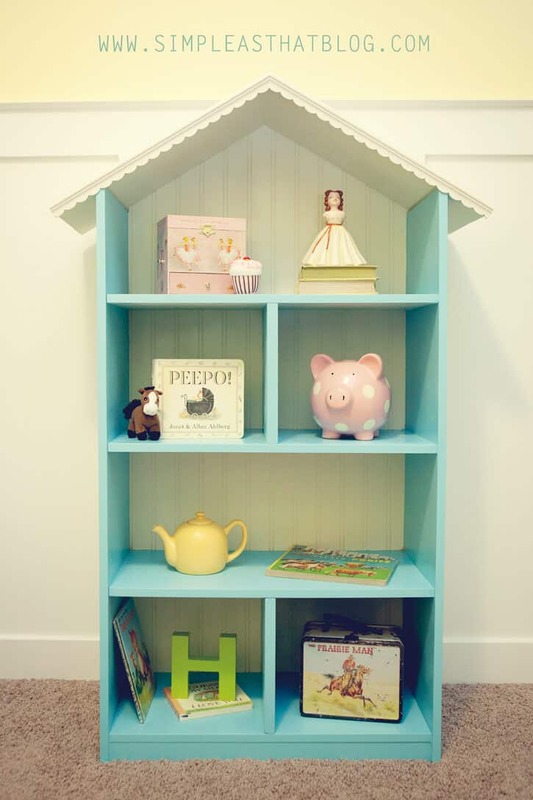 We actually did make this shelf for our kids and sometimes we come in and find that they’ve taken all the books out and temporarily stacked them aside so they can use the shelf for a game of dolls, making it a great dual purpose toy too. Just make sure they remember to put the books back when they’re done, or it kind of defeats your original purpose! 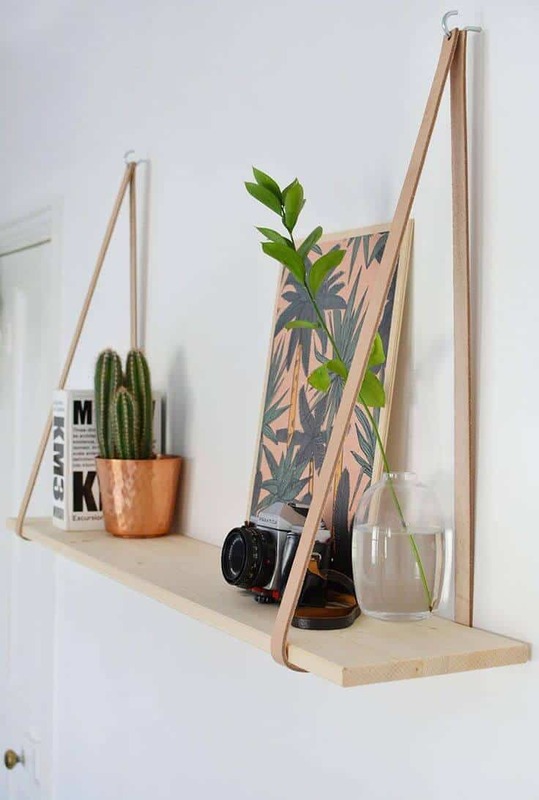 Were you pretty intrigued indeed by the idea of the hanging shelf we showed you earlier because you loved the physics of how solid it was, but you’re just not sure such a leather based, clean cut design is quite the piece to suit your space? 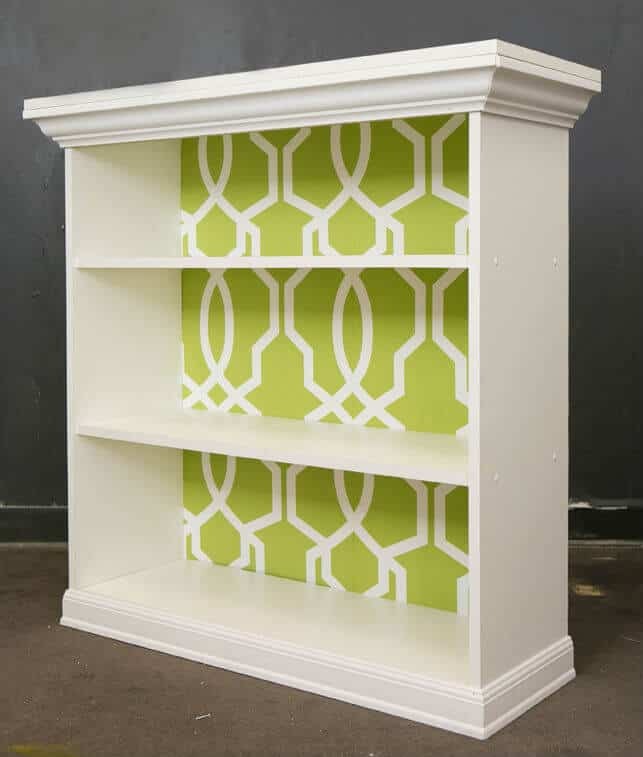 Then here’s an awesome alternative that’s a little more casual and fun looking, making it great for a kids’ room! 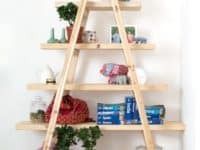 Babble guides you step by step through the process of creating a hanging shelf using some rope and an old skateboard deck with the wheels taken off. 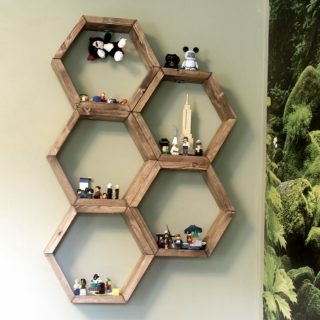 Have you actually always been a big fan of shelves and furniture pieces that use fun angles and neat visuals to support things but also create a neat decor piece? 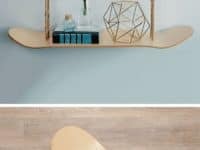 In that case, we’d certainly urge you to take a look at how surprisingly simple this awesomely angled tree shelf is to make! 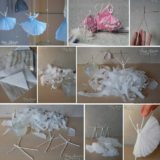 Instructables guides you step by step through the process of fitting the pieces together against a backing board so they look like branches that can be stacked with books when you’re all finished. When we started talking about industrial chic ideas earlier, did your mind actually wander to an aesthetic that’s a little more old fashioned, “brick and mortar” style exposure rather than being base on a little bit of clean metal being involved? Then we have a feeling you might prefer the way Amazing Interior Design created a stylishly haphazard looking shelf from wooden boards and exposed brick! 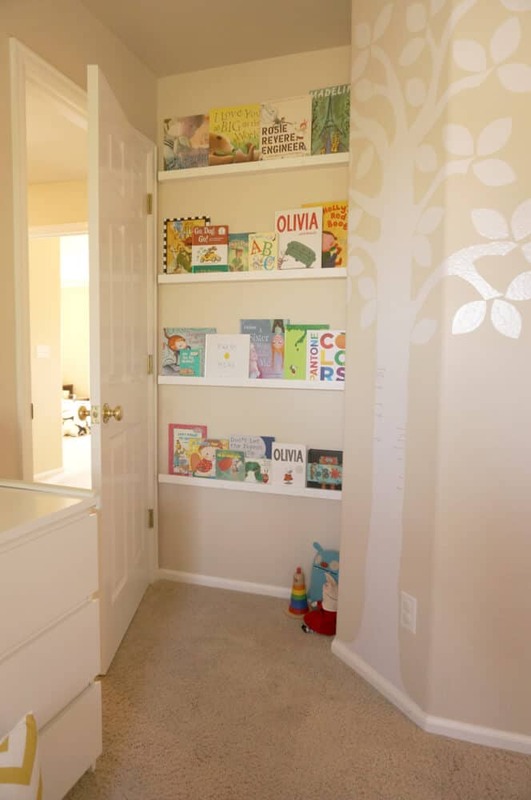 Technically this idea would work fantastically in any room in your house, but we particularly like the idea of using it in the kids’ rooms because there’s already so much stuff in there that we’re short on floor space! Yellow Bliss Road guides you step by step through the process of affixing thick boards to the wall to create small platforms that thin kids’ books will be able to balance on no problem, keeping them up off the ground, undamaged, and out of the way. 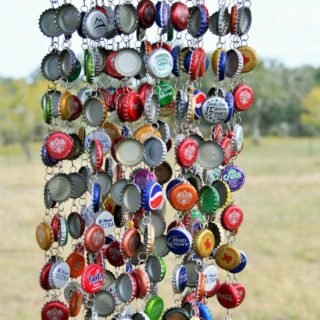 Perhaps you’re looking for an idea that is not only an upcycling project, but is also totally affordable, completely customizable, and easy to take down, change, or move whenever you please? 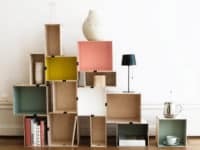 Then we think you simply must take a look at the way Ikea DIY made this cubist inspired cubby shelf out of light storage boxes and binder clips. 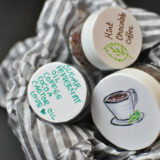 The clips help the boxes stay in place while you fill them but also keep them easy to move around at whim! 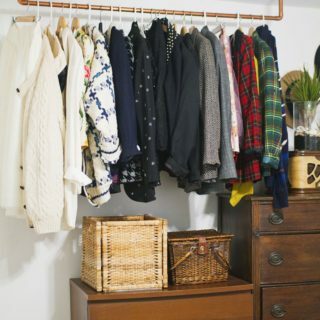 This is a great idea for people living in small or temporary spaces. Have you actually been scrolling through our list so far and still thinking about how the industrial chic idea is the one that caught your eye the most, you just haven’t seen an idea yet that was quite as “industrial” as you’d like? 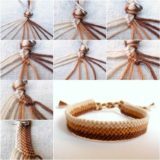 In that case, here’s one last alternative ‘for your consideration! 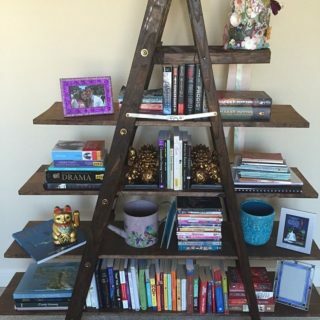 Check out how Taryn Whitaker created this great wall shelf using stained wood boards and dark metal piping.